PDF Download - Taste the delicious honey from the orange blossoms. 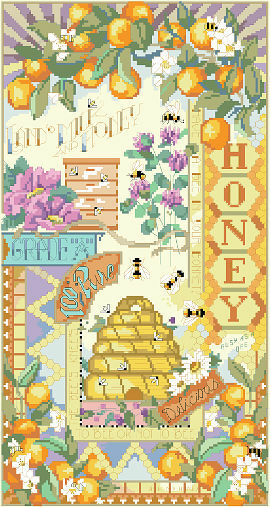 Honey bees frolic in this intricate design by Nancy Rossi. Honey bees in a natural beehive or in a wooden hutch. It all tastes delicious.